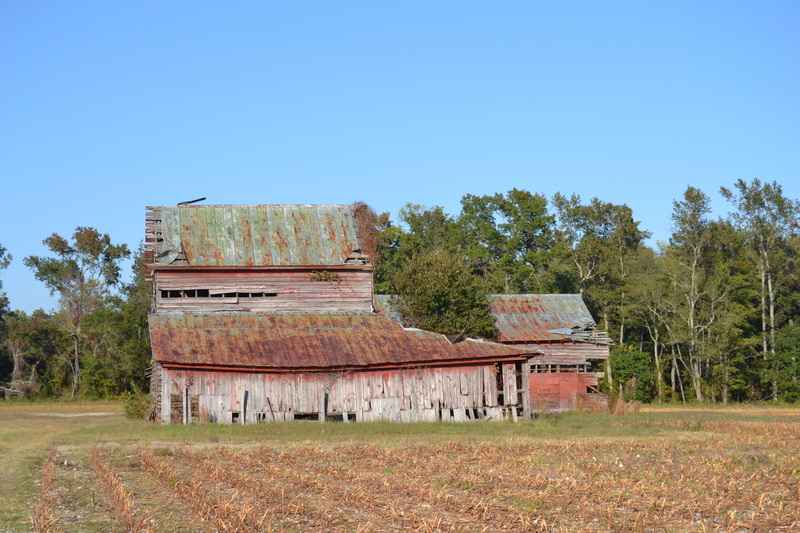 Recently, Motor Man and I were riding around out in the country, enjoying a beautiful day. 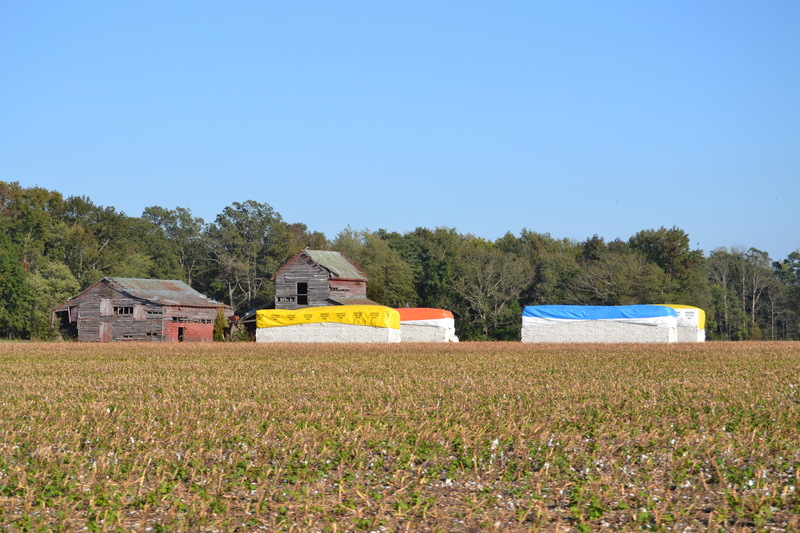 And I spied…..out by the cotton modules…. 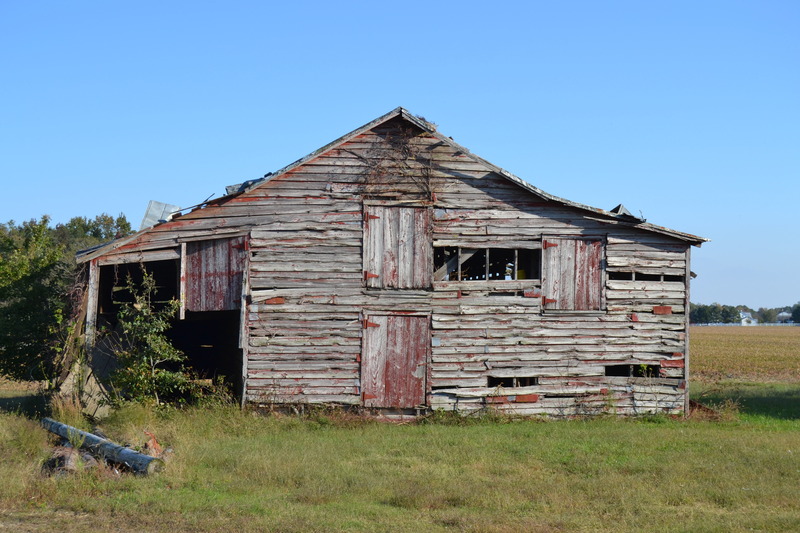 Two old barns, worthy of Barn Charm Tuesday. Since we know the landowner, we Motor Man decided there was no harm in driving down the lane to take a few close-up pictures. 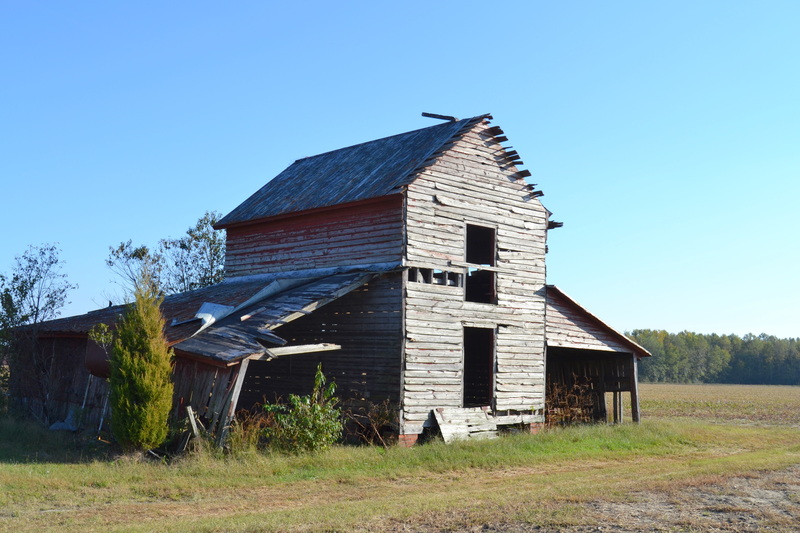 Two barns for the price of one for Tricia’s Barn Charm this week.